The Governing Council of the university has approved the appointment of Professor Kayode Oyebode Adebowale as the new Deputy Vice-Chancellor (Administration) with effect from 11 June, 2018. He succeeds Professor EmilOlorun Ambrose Aiyelari. He was born on 11 January, 1962 to the family of late Mr. and Mrs. Adebowale Esuruoso. He had his primary education between 1967 and 1972 at St. Marks Primary School, Oke-Ijaga, Ijebu-Igbo while his secondary education was at Ayedaade Grammar School, Ikire between 1973 and 1978. He proceeded to the University of Ibadan in September 1980 where he obtained a B.Sc degree in Chemistry in June 1984; M.Sc degree in Industrial Chemistry in September, 1985 and Ph.D in Industrial Chemistry in October, 1991. Professor Adebowale’s working career started at the University of Ibadan as a Graduate Assistant between 1987 and 1991. He was appointed Lecturer II at the Federal University of Technology, Akure in October, 1991, where he was promoted to the grades of Lecturer I in 1994 and Senior Lecturer in 1997. He transferred his services to the University of Ibadan in February 1999 as a Senior Lecturer and was subsequently elevated to the grades of Reader in 2003 and Professor in October 2006. 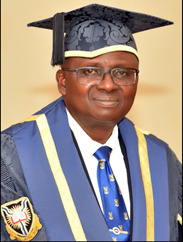 Professor Adebowale held many administrative positions and served on several Committees of the University of Ibadan. These include Examinations Officer, Department of Chemistry, 2003-2005; Postgraduate Coordinator, Department of Chemistry, 2000 – 2002; Sub-Dean (Postgraduate), Faculty of Science, 2002-2004; Dean, Faculty of Science, 2009-2011; Member, Committee of Provosts and Deans, 2009-2011; Member Committee on the Appointment of Emeritus Professors, 2012 to date. He was Convener, Investigative Panel on the Determination of the Class of Degree of two students in the Department of Mechanical Engineering, Faculty of Technology, 2013 and the Director, Special Duties, Office of the Vice-Chancellor, between 2015 and 2016. The new Deputy Vice-Chancellor has won several awards and distinctions. Some of these are: Fellow, Nigerian Academy of Science, FAS 2012; Fellow of the Institute of Chartered Chemists of Nigeria, FICCON, Research Fellow, Alexandra von Humboldt Foundation, Germany 1996 to date; Regular Associate, Abdus Salam International Centre for Theoretical Physics, (ICTP) Trieste, Italy, 2003-2006; recipient, International Foundation for Science (IFS) Grant, 2002-2004; and recipient, African Union Kwame Nkrumah Continental Scientific Award for Science, Technology and Innovation, 2013. A diligent academic, he has been external examiner to many universities in Nigeria and abroad. Some of these include Federal University of Technology, Akure; Federal University of Agriculture, Abeokuta; Delta State University, Abraka; Olabisi Onabanjo University, Ago-Iwoye; Federal University of Technology, Yola; Bells University of Technology, Ota; Ladoke Akintola University of Technology, Ogbomoso; Vaal University of Technology, Vanderbijlpark, South Africa and University of Botswana, Gaborone. Professor Adebowale is a reviewer of many international journals. These include: Journal of Hazardous Materials; Chemistry and Ecology; Food Research International; Journal of Food Composition and Analysis; Thermochimica Acta, Biochemical Engineering, Carbohydrate Polymers, Agriculture and Food Chemistry; International Journal of Biological macromolecules and Starke. He is a representative of the Physical Sciences group on the Council of the Nigerian Academy of Science, between 2016 and 2018 and Chairman, Chemical Society of Nigeria (CSN), Oyo State Chapter from 2016 to date. 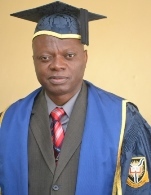 In a bid to promote original research in Chemical Sciences among young scientists in Nigeria, Prof. Adebowale instituted two annual awards in 2014 for members of the Nigerian Young Academy (NYA): Prof. Kayode Adebowale National Scientist Prize for Women in Chemical Sciences and Prof. Kayode Adebowale National Scientist Prize. A profound scholar, he has supervised many B.Sc projects, over 150 M.Sc dissertations and 15 doctoral students. He is currently supervising six doctoral students and has published over 120 articles in both local and international journals of repute. He also has one patent to his credit. The new Deputy Vice-Chancellor (Administration) attended the Senior Executive Course 39, 2017 of the National Institute for Policy and Strategic Studies, NIPSS, Kuru which led to the award of the member of the National Institute (mni). Professor Adebowale is happily married to Dr. ‘Yemisi Ajibola Adebowale and the marriage is blessed with three children: Temitayo, Ayobami and Ayomitunde.